Double halo ring has micro pave side stones. 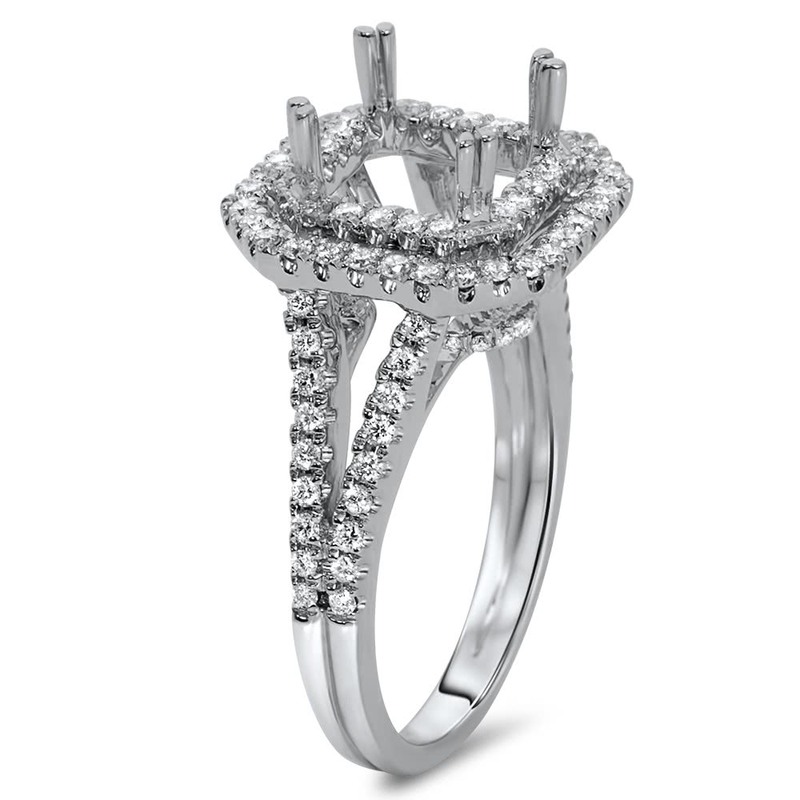 Under the center stone is a split shank that holds the double halo in place. 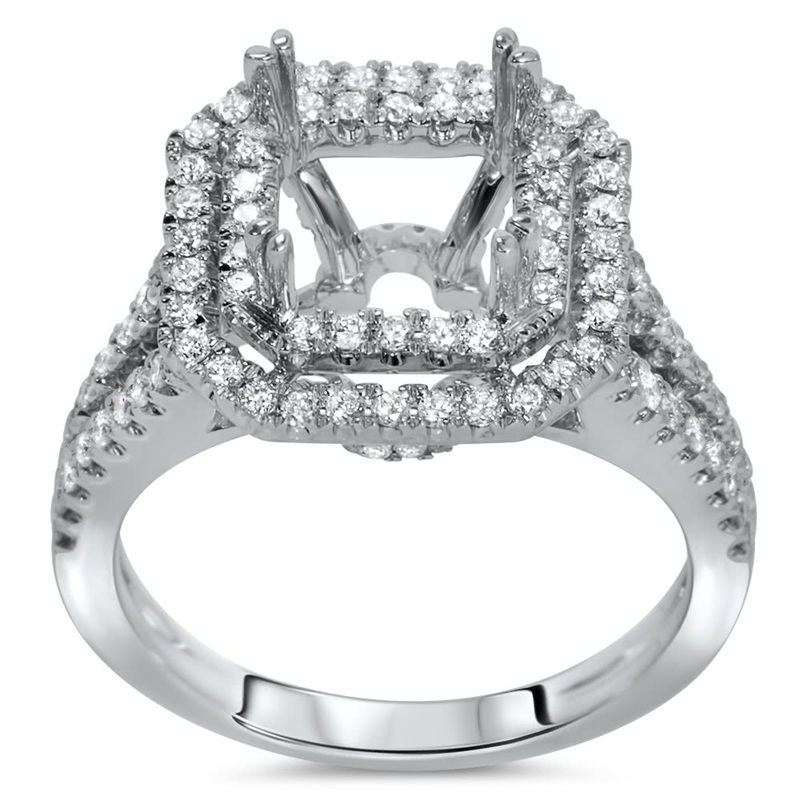 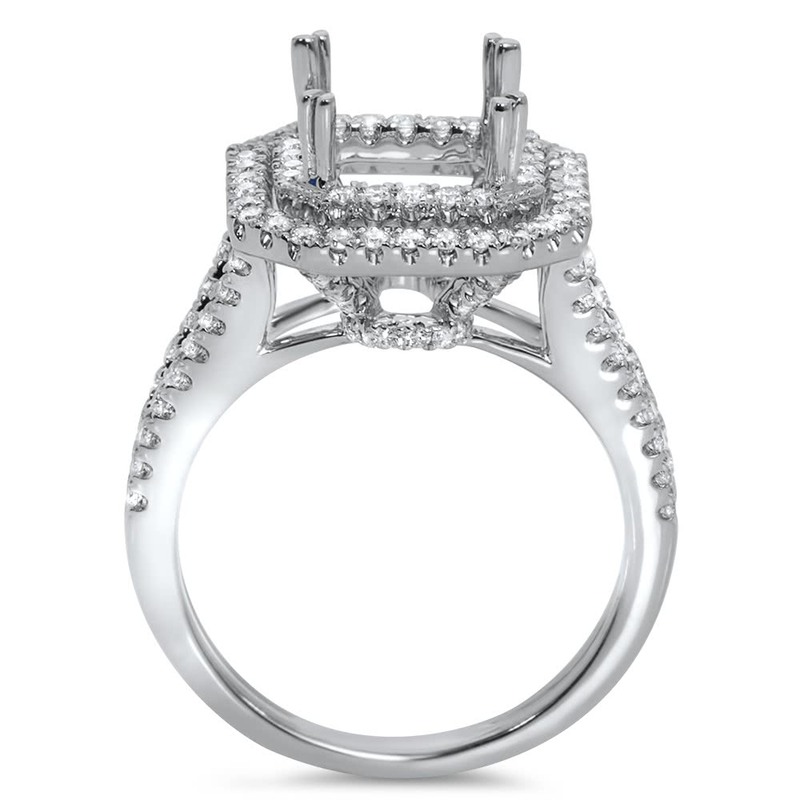 The ring can accommodate a cushion or radiant cut diamond.